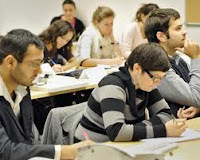 In line with the special focus of a public policy school, the research programme at the Brandt School looks at conflict management with a special interest in how policy-making and public policy as a research perspective (discipline) needs to be re-thought in the context of conflict resolution and post-conflict reconstruction efforts. Originally, the key concepts in the field of public policy were based on implicit assumptions about strong institutions and stable political conditions. However, nowadays it is becoming apparent that these approaches need to be revised to understand the special conditions and challenges in regions of conflict. In particular, the role of governments, international actors and NGOs as policy-makers in conflict areas, fragile states and war-torn countries are considered in the CSMP. The PhD programme is a three-year-track combining independent research and course work on an advanced level. Candidates holding an appropriate Masterâ€™s degree with a strong research proposal preferably in the fields of post-conflict-management and reconstruction, peace building, institutional development and governance, regional security (esp. developing frameworks for regional security architectures), conflict resolution or terrorism are invited to apply. The strength of the research proposal is one of the major selection criteria. In the first year of their doctoral studies students deepen their methodological and theoretical competence and work on their language skills. They are required to complete two courses per term, which are arranged with their academic advisors in advance. In addition, students will work on their research project in independent study units. In the second year, doctoral students focus on their own research project. Candidates may conduct field research and they may do research abroad either at one of our partner institutions or at an appropriate institution of their own choice or gain teaching/lecturing experience. In their third year, doctoral students will work towards completing their doctoral thesis. The degree is conferred after the public oral defence is completed and final revisions are submitted. The PhD Scholarships are awarded for the normal duration of the PhD course (3 years) with an additional German language course of generally 6 months before the beginning of studies. All scholarships will initially be awarded for a maximum of 12 months and can be extended upon application. DAAD pays a monthly scholarship rate of currently 1000 â‚. The scholarship also includes contributions to health insurance in Germany. In addition, DAAD grants an appropriate travel allowance as well as a study and research subsidy and in applicable cases rent subsidies and / or family allowances. The scholarship holders will be exempted from tuition fees. They will be offered special tutoring at the Brandt School, and there is the possibility of further activities. Applications are open to candidates from countries in the Middle East, Central Asia, South Asia, South East Asia, Africa and Latin America (List of countries). have completed their studies with a Master`s degree or equivalent (excellent or very good) in one of the following areas: International Relations, Peace and Conflict Studies/War Studies, International Law, Area Studies or other relevant programmes with concentrations in conflict studies or conflict regions. Highly qualified applicants with different academic backgrounds who demonstrate at least two years practical experience in the field are also eligible. have an excellent knowledge of English; please provide evidence of this through the submission of appropriate language certificates (e.g. TOEFL: 550/213/80)7); a knowledge of German is advantageous, but not required. in general have completed their Master`s degree in the last six years. 2 years professional and / or research experience would be an asset. Applicants cannot be considered if they have been in Germany for more than one year at the time of application. Recent language certificates giving evidence of the level of proficiency in English (TOEFL, IELTS) and if applicable in German. Please make sure to register in time for the respective tests. Fees for obtaining such certificates are considered as a personal career investment and will not be reimbursed. Authenticated copies of all certificates. Further information about the papers to be submitted is listed on the application form which can also be obtained from the Internet ( Official Website. ), from the diplomatic and consular representations of the Federal Republic of Germany or from the local DAAD lecturers, Offices or Information Centres. The 3 complete sets of application papers must be submitted by 31 July 2011 to the usual application address in your home country (in most cases the local DAAD or diplomatic representation) . Further information can be obtained from DAAD Section 444 ([email protected]). Demikianlah informasi mengenai DAAD PhD Scholarships in Conflict Studies and Management Programme (CSMP) semoga berguna bagi anda.